Maintaining a healthy work-life balance means allocating time for life—away from work. One of the more important things to consider when evaluating a potential job opportunity is the amount of paid time off you’ll receive. Vacation time is usually forefront on most people’s minds, but it is also important to consider paid time off for continuing medical education (CME) courses and medical mission work. These items have a direct impact on your work-life balance. Does the language of your contract clearly define the amount and allocation of the paid time off you will receive? Many physicians assume that the paid time off listed in the contract is a non-negotiable part of the benefits package, but that is not always the case. Aside from the amount of time offered, what is offered and/or how it is structured can vary by employer. For example, you may notice that some employers offer both vacation and CME time off separately. Others combine them into one “paid time off” pool. Before going into a negotiation, it is crucial that you develop a strategy aimed at getting what you need above what you want. Rank your priorities in order of importance. This will serve as a visual reminder while you are in negotiations of where you should stay focused. Once you see how your paid time off is allocated, you’ll have to determine if an opportunity’s vacation time fulfills what you need to maintain a healthy work-life balance. If not, what might you be willing to give up to get more? If vacation time is more important to you than a higher salary, for example, make sure you prioritize vacation time above salary during your negotiations. Failure to prioritize weakens your position in the negotiation process, wastes valuable time, and may ultimately leave you with an unsatisfying contract. On average, most physician employees get three to four weeks of paid vacation time. The cost and timing of CME courses should be discussed when negotiating your paid time off. The CME credits required differ by state. Before you enter into negotiations, know how many hours you will be required to complete. More employers are now combining CME time, vacation time and sick leave into one “paid time off” bucket. Make sure you understand exactly how much of your paid time off is expected to be spent on CME. Most employers will offer a week of paid CME time off with a stipend for expenses incurred in addition to paid vacation days. Your main focus as you negotiate your contract should be on your long-term personal goals and professional agenda. If fulfilling a medical mission is a priority to you, then it is important to make sure your employer is aware of your goal. Medical missions can be short-term (1 to 2 weeks) or long-term (3 to 8 weeks). Before entering a contract negotiation, make sure you know what type of mission you are interested in, and how long you plan to be gone. There are tax deductions available for medical missions, so this could be something for which your employer is willing to give you additional paid time off. If this is a priority, make sure you keep it high on your list—and ultimately be willing to give on something else you are not as passionate about. Megan Kimbal is the director of client development at Premier Physician Agency, LLC, a national consulting firm specializing in physician job search and contracts. From guidelines for cancer patients to neurosurgery simulation, these apps—all free—help physicians through a variety of training and practice decisions. Usually, I use Tech Notes to cover three recently released apps in depth. 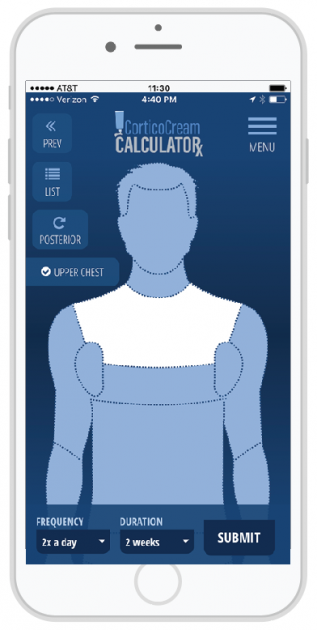 But over the last few months, we’ve seen a flurry of interesting medical apps released. This time, instead of discussing three apps in detail, I’ll give you a summary of seven interesting, free medical apps that were released in the last few months. Dx Challenge, from the University of Pennsylvania, gives you a case-based presentation of a patient and tests your responses. You have a limited amount of time to respond to the questions, and a limited number of attempts. The interesting thing about the app is that you actually can collect an honorarium for getting the answers right. The challenges and cases are live and only available for a limited time. This is the only medical app I know of that actually pays you for getting medical questions correct. The CorticoCalc app helps you determine the appropriate topical steroid and coverage. The app would be useful not only for dermatologists, but also for pediatricians and primary care physicians. One of the best features of this app is the ability to separate pediatric cases from adult ones—there is a separate decision tree for patients 0 to 3 years old and those who are older. Once you select the appropriate age, the app guides you through selecting the amount of coverage, such as right arm, and then gives steroid recommendations. The ASCO Guidelines app from the American Society of Clinical Oncology helps clinicians with a range of management questions and treatment guidelines for their cancer patients. The app has point-of-care decision-making tools and is kept up to date when new evidence becomes available. 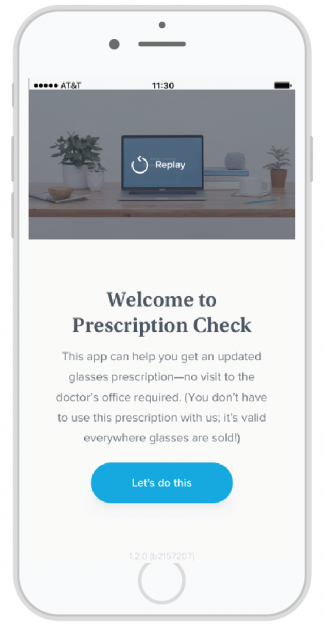 Prescription Check by Warby Parker is an app that enables you to take a vision test at home and get a prescription for glasses. Simply by using a smartphone and laptop, you’re able to get a prescription assigned to you, approved by an optometrist. The key though is you don’t get a comprehensive medical eye exam, simply a prescription. Warby Parker makes it clear their technology isn’t meant to replace visits to your eye doctor, but you can imagine there is concern by medical professionals. The American Optometric Association (AOA) has submitted complaints about this technology to the FDA, and they are concerned that this type of technology will lead to harm by causing fewer patients to get medical eye screening exams. The main reason I mention this medical app is because these types of eye prescription apps are gaining traction, and the technology itself is innovative. As medical professionals, we should know that we might have patients using these types of apps and should be ready to answer questions that patients have about their safety and use. PsychoPharm Research was created by noted medical app developer Joongheum Park, M.D., who is an internal medical physician. Park has created several notable medical apps, and this current one provides an interactive version of medical decision support trees for psychopharmacology. It should be noted that medication decision support trees have backing from a venerable institution. They are developed by the Psychopharmacology Algorithm Project at the Harvard Medical School Department of Psychiatry, South Shore Program (founded by David Osser, M.D., an associate professor of psychiatry at Harvard Medical School). This application really is tremendous. It helps primary care physicians and psychiatrists with a decision tree for patients who have depression, bipolar and other psychiatric complaints that haven’t responded to the first line of therapy. It’s a must-have for primary care physicians to try, especially when choosing second line options for patients who have depression or general anxiety disorders. It’s remarkable that this application is available to download for free. Pterional Craniotomy is a real-time 3-D neurosurgery simulation app that shows you one of the most common neurosurgery procedures: the pterional craniotomy. The app teaches about and enables you to actually perform the surgery. Users are given controls at a granular level, even determining how to position the patient during the surgery by utilizing tap and zoom functions on your phone. The team of neurosurgeons that helped develop the app state that it was built through “a systematic 3-D reproduction of real surgical scenes.” The app gives you an idea of how future medical students and residents might learn complex surgical procedures by using their phones. REBEL EM by AgileMD organizes the content from the RebelEM website into easy to use, point-of-care accessible information. 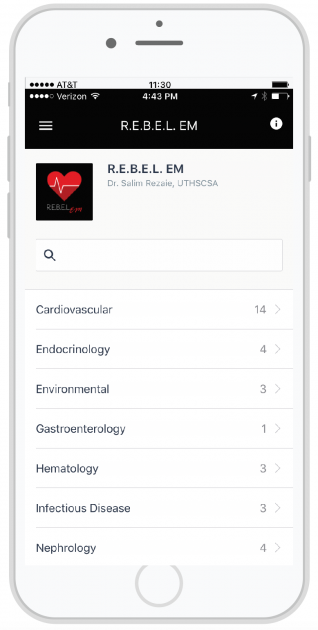 RebelEM.com was founded by Salim Rezaie, M.D., and is run by a group of academic emergency medicine physicians. The website provides great peer-reviewed blog posts that focus on various emergency medicine topics. Instead of simply turning the website into an app, AgileMD divided the app into key systems, such as cardiovascular and gastroenterology. Within each of these sections, you’re given summary morsels of information. My only issue with the app is that I wish they put links to the full posts on each of the subsections for further reading. That said, this is a great example of distilling a website into an easy to use, point-of-care form. Congress is weighing proposals that include converting Medicare to a voucher system. Medicare is a program undergoing significant growth, and there are several proposals on the table that could change it. Medicare delivers care through two main programs: Original Medicare (Part A and Part B) and the Medicare Advantage Plan (Part C). The original plan is fee-for-service with patients free to choose their physicians and hospitals (assuming the providers accept Medicare). Under Medicare Advantage (MA), patients sign up with a private company approved by Medicare, and the plan is responsible for delivering care. Medicare Advantage plans generally are HMOs or PPOs where the patient’s choice of providers is more limited. A patient will pay a higher share (or potentially all) of the costs for out-of-network care. Medicare Advantage plans receive a fixed amount each month per enrollee from the federal government. Medicare Advantage plans usually offer benefits to patients that are not available under original Medicare, such as coverage of vision and dental care. 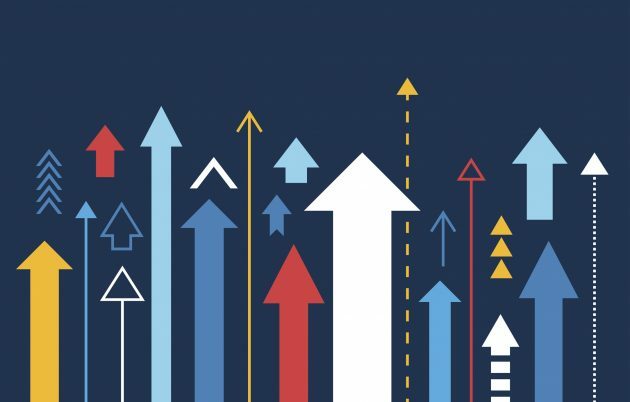 Enrollment in Medicare Advantage plans has increased more than 70 percent since 2010 to about 19 million, according to the Kaiser Family Foundation. Among the proposals to change Medicare is to allow physicians who participate in Medicare to enter into contracts with patients to pay more than the Medicare rates. Under current law, physicians who participate in Medicare agree to accept the Medicare fee schedule and not balance-bill the patient for anything beyond the 20 percent copay that is paid by the patient or the patient’s supplemental insurance. Physicians who opt out of Medicare are free to charge whatever they wish. Psychiatrists make up the largest portion of the opt-out group. Under current law, a physician who opts out must do so for all of the physician’s Medicare patients. Proposals to change the law would allow physicians to obtain reimbursements at normal rates from Medicare and balance-bill the patient for an agreed additional amount. The additional payments could be determined on a patient-by-patient or service-by-service basis. Higher payments to physicians to offset what some view as unduly low payments from Medicare that do not keep up with practice costs. Increasing the number of physicians willing to accept Medicare patients. Reducing costs to patients who wish to see physicians who had opted out of Medicare since Medicare, under the new program, would pay part of the costs. Costs would increase for patients who enter into such contracts with their physicians. Added payments may be unaffordable, especially for the half of Medicare enrollees who live on $24,000 or less per year. If physicians decide to see only patients who are willing to pay more than the Medicare rates, access to physicians will be reduced. Another proposal is to convert Medicare into a system of “premium support”—also referred to as a “voucher” plan. Instead of having the government pay health care bills directly to providers, as is done under original Medicare, the government would provide a fixed dollar amount to Medicare beneficiaries who would use the money to purchase insurance in the private market or in the original Medicare program. If the level of premium support does not cover the full cost of insurance (which is likely), the beneficiary would have to make up the difference. Some versions of the premium support proposal also would allow insurance companies to provide different levels of benefits. Under current law, all Medicare beneficiaries receive a base level of benefits. Another uncertainty regarding the premium support proposal is the future of Graduate Medical Education (GME). The current Medicare program heavily subsidizes GME. The premium support plan does not specify how GME will be funded. Finding a new place in which to practice is just as important to your family as it is to your career. Make it a good choice for both. Amanda Beach, M.D., convinced her brother and parents to relocate to Carmel, Indiana, about 25 minutes from downtown Indianapolis. When deciding where to practice, physicians weigh many factors: what health systems operate hospitals and clinics in the area, opportunities for career growth, what the patient population is like, and proximity to family. Of course, for many physicians, whether the area is a good place to raise a family is a top priority. The quality of local schools, the availability of family-friendly leisure activities, and the general quality of life are all important considerations for physicians with families. If you fall into this category (or think you may soon), consider Carmel, Indiana; Owensboro, Kentucky; Lincoln, Nebraska; and Rockville, Maryland as strong options. In Carmel, physicians can enjoy the benefits of living in an area with several amenities and activities while enjoying a high quality of life, especially in the context of easy commutes and friendly people. Alternatively, physicians can take advantage of the ample career opportunities in nearby Indianapolis. This Midwest health system hub is a mere 25 to 30 minute drive from Carmel. 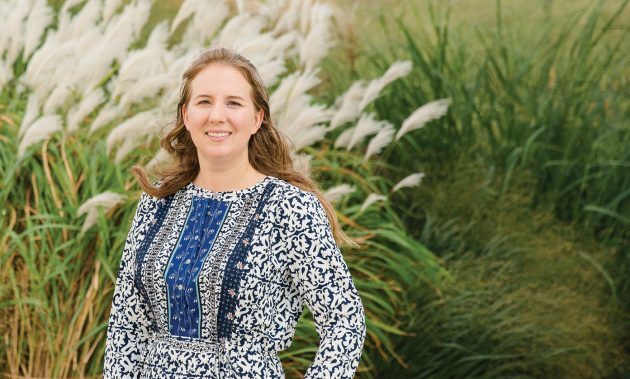 For Amanda Beach, M.D., life in Carmel is a family affair. “I have always loved science, and I come from a huge family of engineers. I thought I might want to do something biomedical. I really liked anatomy. But I also wanted to form connections with people. I thought, that’s what physicians do, especially pediatricians. You get to watch people grow up. That’s how I decided on pediatrics,” says Beach. Beach attended the University of Dayton in Ohio. While an undergraduate, she volunteered with a children’s hospital in Dayton, which cemented her professional path. She attended the Loyola University Stritch School of Medicine in Chicago, and placed with Riley Hospital for Children in Indianapolis for her residency. When Beach began job searching, she saw a pediatrician opportunity with St. Vincent Medical Group, a subsidiary of Ascension, the country’s largest nonprofit health system. She applied and was hired. “One of my reasons for my move to St. Vincent was that I wanted to be somewhere for a long time and work with patients over a long period. Unless a family moves, when you’re a pediatrician, you stay with people for a while. You get to see people have siblings,” says Beach. Additionally, says Turner, St. Vincent Carmel offers da Vinci robotic surgery for gynecological and other surgical procedures, and breast oncology and reconstruction surgery. The hospital also operates a Women’s Cardiac Risk Clinic. Turner is currently recruiting for hospitalists, internal medicine physicians and nocturnists. St. Vincent’s main campus is in Indianapolis, 25 minutes from Carmel; St. Vincent Hospital is the flagship location of St. Vincent Health. Indianapolis has several prominent health systems that operate or are headquartered in the city. Franciscan Health operates Franciscan Health Indianapolis, a hospital known for its full-service heart and vascular care program. Indiana University Health (IU Health) operates three hospitals in Indianapolis, including IU Health University Hospital, IU Health Methodist Hospital, and Riley Hospital for Children. IU Health also operates IU Health North Hospital in Carmel, a 189-bed hospital with all-private patient rooms, including private NICU and PICU rooms. IU Health North Hospital provides a broad range of services, including bariatrics, neurology, obstetrics, plastic and reconstructive surgery, radiology, sports medicine and urology. Clarke is part of the 12-person team of physician recruiters working to bring physician talent to Indiana and specifically to Carmel. Despite being a small town, Riggs says that Carmel has “big city things to do.” In the summer, Riggs says there are scores of free concerts and events, including the popular annual Greekfest in August. Beach means this in more ways than one. She and her husband bought a house in Carmel, and they immediately clicked with the area. She shared with the rest of her family how much she enjoyed living in Carmel—and her brother decided to relocate there. Then, so did her parents. “My parents definitely wanted to be close to their only granddaughter,” says Beach. If you are looking for a city where you can have a fast-paced career with a high quality of life, Lincoln, Nebraska, may be the perfect fit. Physicians can practice in Lincoln, a city made especially colorful on game days by the University of Nebraska community and its red-clad sports fans who flock to the area. Physicians can even choose a rural lifestyle just outside the city limits, without adding too much time to their commute. Daniel DeFreece, M.D., is a born-and-raised Nebraskan, and can vouch for it being a great place to grow up, to advance one’s medical career, and to raise a family. Says Terri Bangert, a physician recruitment specialist for The Physician Network/ CHI Health: “In Lincoln, because of the university, we’re a very active, very healthy system. Lincoln is the state’s capital, but it’s also home to the University of Nebraska.” The football stadium accommodates up to 92,000 people coming to see the Huskers play. “Saturday is a flood of red,” Bangert says. There’s also no need to figure in costs for private education because Klein says Lincoln is known for the strength of its public schools. “The public school system has very high graduation rates and various acceleration programs,” he says. “Lincoln Public Schools does a really good job of keeping up with the times, offering all the services and programs to stay at the forefront of meeting students’ needs.” Klein notes that Lincoln high schools have just finished their second year of The Career Academy, a program that allows juniors and seniors in high school to enroll simultaneously in a local community college, where they can take classes that satisfy high school graduation requirements and help them earn college credits. After time in New York and Connecticut, Thomas Waring, M.D., found a home in Owensboro, Kentucky. Home to one of the nation’s most highly-regarded playgrounds, Owensboro takes “family friendly” to a new level. For families interested in Owensboro’s vibrant culinary scene, bibs are a must for kids and most adults: Owensboro takes its barbecue very, very seriously. Thomas Waring, M.D., knew early on in life he was drawn to medicine, particularly helping individuals requiring urgent medical care. “I started working on an ambulance when I was 16. I was an EMT for many years, all through high school and college,” he says. The experience fully solidified his interest in critical care. He attended Ross University School of Medicine and completed his residency at Rochester General Hospital in upstate New York. Waring completed a fellowship in pulmonary/critical care medicine at the University of Connecticut. Owensboro Health Regional Hospital provides service to 14 counties, 2 in southern Indiana and 12 in western Kentucky. Says Mitchell Sims, manager of physician recruitment for Owensboro Health, “We are licensed for 477 beds. We have a Level III NICU, which is the largest NICU west of Louisville. We have two da Vinci robots and 16 operating room suites.” On average, 1,800 babies are born each year at the hospital. Part of what keeps Owensboro Health Regional Hospital so busy is that it serves a large region and a large patient population. Located in Daviess County, Kentucky, Owensboro has a metropolitan population of about 100,000 people, yet Owensboro Health Regional Hospital is the only hospital that operates at that scope within a 45-mile radius. Owensboro Health also operates 25 outpatient locations, with three more locations in progress. Owensboro Health Medical Group employs more than 180 providers, spanning over 30 specialties. Sims is currently recruiting for several new physicians across a wide range of specialties, including gastroenterology, neurology, pulmonary critical care, outpatient family medicine, non-invasive cardiology, rheumatology, psychiatry, outpatient pediatrics, geriatrics and sleep medicine. Sims says that Owensboro offers more than just a job. The city has made a strong effort to offer big-city entertainment and facilitate residents’ active, vibrant lifestyles. Says Sims, “The community recently completed a $300 million renovation to the downtown area that has brought in a lot of new businesses and restaurants. Another big draw downtown is a park that was named the No. 1 playground in the world by Landscape Architects Network.” The park, Smothers Park, sits on the Owensboro waterfront and features a very large, fully accessible playground and interactive water fountains. Says Mark Calitri, president and CEO of Visit Owensboro, “Owensboro has just been honored as a ‘2017 Playful City USA’ for the second time by KaBOOM!, a national nonprofit. This honor represents the city of Owensboro putting the needs of families first so kids can learn, grow and develop important life skills.” Calitri says that Owensboro Parks and Recreation runs a total of 23 parks and that Owensboro families tend to be active: walking, cycling and hiking are popular family activities. “Owensboro is known for the three B’s: barbecue, bourbon and bluegrass,” Calitri says. A new International Bluegrass Music Museum is under construction, and families can also visit the Owensboro Museum of Fine Art and the Owensboro Museum of Science and History. The Owensboro riverfront is also host to an annual family-friendly event, the International Bar-B-Q Festival. If you are looking for a diverse, family-friendly family-friendly place to raise your kids, look no further than Rockville, Maryland. The average age of a Rockville resident is 39—meaning that most people are parents of young children, eager to bond on the sidelines of sports tournaments. The area’s proximity to Washington, D.C., provides ample job opportunity as well as access to world-class museums, restaurants and entertainment. Alexander attended the University of Miami Miller School of Medicine, so more moderate temperatures were an appealing draw. Alexander is an internist and psychiatrist. He moved to the Washington, D.C., area in 2003 and started a hospitalist company in the area with a business partner. “At that time, I was going around D.C. after residency building the business,” he says. Alexander says it was an era when hospitalist programs were taking off, and his was no exception. In 2014, Alexander reflected on the company’s success and started brainstorming how to take it to the next level. It was time to explore having the practice acquired by a larger health care company that could scale and grow the hospitalist group. Sound Physicians acquired Alexander’s company and named him Regional Medical Director for the Capital Area. “It’s been easily the most important and successful decision I’ve made; it turned out absolutely wonderful,” Alexander says. Says Jill Albach, clinical recruiter for Sound Physicians: “Quality, teamwork, service, integrity and innovation are of paramount importance to Sound Physicians, and they are the cornerstones of each of our programs nationwide.” Sound Physicians has a large presence in Rockville, with many of their providers working at Adventist HealthCare Shady Grove Medical Center, a 331-bed acute care facility that is part of the Adventist HealthCare network. Groff says Montgomery County also has one of the best public school systems in the country. Montgomery County also offers a rich, informal cultural education. “Thirty-four percent of the population was born outside of the U.S. It’s a very diverse community.” Additionally, Groff said nearby D.C. is like “a historic playground” and just a short ride away via the Metro. These medical missions make it possible to give back even with a busy schedule. Shortly after emigrating from Italy to Washington, D.C., in the 1940s, Joseph Aloi, M.D.’s grandmother and her brother became ill.
Aloi has been able to do just that after finding a nonprofit health organization that made volunteering possible with his busy schedule. 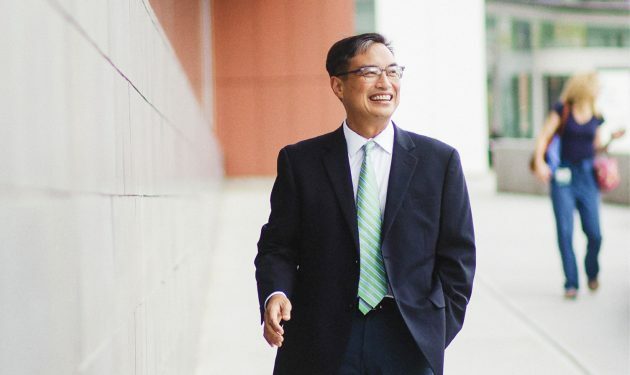 He has served annually for almost a decade and a half, proving that even with a full-time workload, physicians can find ways to volunteer. Read on to learn more about three organizations helping physicians serve patients across the world—even from the comfort of their own homes. Lynnette Morrison, M.D., went on her first medical missions trip in 2011—and has traveled with IMR five more times since. From booking travel plans and learning about another culture to getting the proper licenses and ensuring safety, there is a lot to do to prepare for an overseas medical missions trip. It can be daunting for many first-time volunteers who want to give back, but who don’t know where to start or who don’t have time to do all the legwork themselves. King now leads a team that makes overseas missions as turnkey as possible. Lynnette Morrison, M.D., saw this turnkey experience firsthand when she first traveled with IMR to Ghana in 2011. “I was so impressed by their organization—just how everything was set up,” she says. Since that trip to Ghana, Morrison has traveled with IMR five more times: twice as a resident and three times as a practicing physician. It has taken her around the world, including Uganda, the Philippines, Panama, Zambia and Senegal. 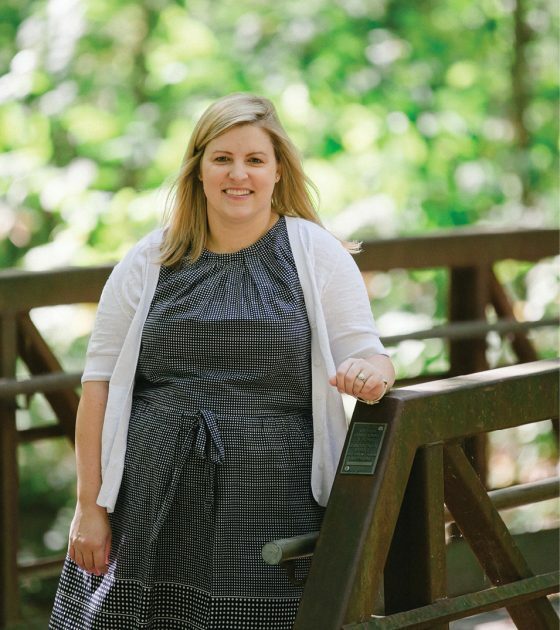 She says these experiences have made her a more well-rounded physician for her patients back home, where she works as a family physician with a specialty in wound care at MedExpress Urgent Care in Springdale, Arkansas. Her mission work has also influenced her personal outlook on life. “It really is rewarding,” she says. After seeing families in developing countries make do with so little, she has found herself focusing less on material goods. If you’re job searching and interested in volunteering, mention your goal to employers—and follow these tips. Ask about it when you interview. Consider eligibility for CME credits. If the volunteer opportunity you’re considering includes an educational component, it may count toward your continuing medical education requirements. This can help you justify the trip to your employers when you ask for time off. You may even be able to get reimbursements for the costs of the trip. Create a program if one doesn’t exist. Many health care employers already have avenues for physicians who want to make volunteering a regular part of their work lives, but don’t be discouraged if your potential future employer doesn’t. Just because they don’t now doesn’t mean they never will, and you could be the one to spark change. For each of these trips, IMR prepares its volunteers ahead of time. “We want our teams to go into the field feeling comfortable and confident,” says King. “We do a lot of pre-field training.” King and her staff use online training and conference calls to help team members prepare. These calls, along with Facebook groups, also allow team members to get better acquainted before they travel together. IMR offers continuing education credits through pre-field training, so some employers may reimburse part or all of the cost of the trip. A trip with IMR can cost anywhere from $2,500 to $4,500 per person, according to King. Some physicians pay these expenses out of pocket and view it as a donation, while others raise funds for their trips. For more information about serving with IMR, visit internationalmedicalrelief.org. You do not have to go overseas to make a tangible impact in the lives of patients who lack access to health care. The Health Wagon, a nonprofit based in southwest Virginia, is just one of the many organizations working to provide free, accessible care. They offer a wide array of volunteer opportunities that do not require international travel, and are ideal for a physician’s busy schedule. The Health Wagon’s largest annual event, a three-day health clinic, happens every July in Wise, Virginia. They find creative ways to work with the resources available. The event is held at a community fairgrounds, providers see patients in barns, and the pharmacy is in an 18-wheeler. Patients come from all over Appalachia to be seen. Some even spend the night in the parking lots for a chance to see a doctor. “They’re very appreciative, so that’s a big reward of being a provider there,” says Aloi, who has served with The Health Wagon annually for almost 15 years. To allow volunteers to make a big impact in a short amount of time, The Health Wagon stays highly organized. “It’s remarkably efficient,” Aloi says. “Your time won’t be wasted.” Because The Health Wagon has a permanent presence in the area, they are able to help with continuity of care after a physician’s trip is over. “We tailor patient schedules to fit the needs of our volunteers,” says Fleming. “Volunteers can come for a few days or for a couple weeks—whatever works best for them.” Plus, physicians from all specialties are welcome. Volunteering with The Health Wagon or a similar stateside organization is a chance to learn more about life in other parts of the U.S. and develop a deeper understanding of others. “I’m originally from Chicago,” says Sadural. “I’d never been to Appalachia, and I admit that I had my own preconceived notions.” Volunteering with The Health Wagon opened his eyes to what life was like for patients who did not qualify for Medicaid, yet could not afford health care premiums. For more information about serving with The Health Wagon, visit thehealthwagon.org. Who will cover my malpractice insurance? Some organizations cover their volunteers’ malpractice insurance, but others expect volunteers to coordinate and pay for this themselves. Find out if you need to arrange coverage, and if so, ask your current insurer or employer if your existing policy will cover your volunteer activities. What licensing and immunizations do I need to complete? If you’re treating patients out of state or out of country, you likely need some additional licensure and possibly special immunizations. The organization you volunteer with should be familiar with all of these processes, how much they will cost and how far in advance you need to start. What areas of medical expertise do I need to research ahead of time? Morrison recommends reading up on the region to become more familiar with common conditions in the area and, especially, how they may present. Can I speak with a volunteer who has done similar work before? Morrison also says it’s always a good idea to speak with someone who has experience. “Talk to people who have gone on the trip if you can,” she says. If you are looking for a flexible opportunity closer to home, you can’t get much closer than volunteering right from your laptop. New telehealth technologies have made that possible, and innovative nonprofits like The MAVEN Project are using them to overcome geographic barriers and fill gaps in health care access. The time commitment is a minimum of just four hours per month, with no travel time required. By pairing volunteer physicians with understaffed clinics, The MAVEN Project helps rural and low-income patients who normally wouldn’t get timely access to health care. In many cases, timing makes all the difference. Depending on what each clinic needs and whether a volunteer physician is licensed in the same state as the clinic, MAVEN volunteers may serve through direct consultations, curbside consultations or mentoring. In direct consultations, the physician builds patient relationships and consults on individual cases. This typically happens with more complex cases and requires a physician to be licensed in the same state as the patient. Shmerling says the organization works to make the technological side of things easy for volunteers. “We use a technology called Zoom,” she explains. The HIPPA-compliant application is quick to download, and it allows physicians to video conference, see patients and even share screens. The MAVEN Project also smooths the process by covering malpractice insurance. Any physician who has been in practice for at least two years is welcome. Some of The MAVEN Project’s volunteers are retired physicians who want to continue making an impact. Without the barriers of travel time, insurance costs or technological difficulty, you can easily get involved and help fill gaps in health care availability across the U.S.
For more information about serving with The MAVEN Project, visit mavenproject.org. Your income—and your outflow—are high contributing factors to your family’s overall quality of life. From student loans to mortgages, this guide helps you get your debt under control. 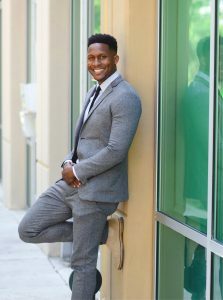 A shared focus and commitment to the end goal helped Caleb Butts, M.D., and his wife, Tricia, pay off student loans in just a little more than four years. When Caleb Butts, M.D., was visiting his alma mater, the University of South Alabama College of Medicine, he made a quick stop into the financial aid office. What was even more noteworthy than his visit was the speed with which Butts reached debt-free status: 4 years and 4 months after starting repayments. Butts credits the discipline and goal-oriented mindset of both himself and his wife, Tricia. Whether you’re just getting started or you’re unsatisfied with your present payback plan, there’s a wide spectrum of approaches to use to pay off your educational loans. Key to success is knowing what’s available, and choosing the best plan for your family. It can feel overwhelming when it’s time to repay your medical school loans. But rest assured: Most physicians start their professional careers in the exact same situation. Three-quarters of medical school graduates leave school with a significant amount of debt, according to the Association of American Medical Colleges. The AAMC’s survey shows that in the class of 2016, 76 percent of new medical school graduates began their career with loans to pay back, with the median educational debt level for that year’s graduates at $190,000. Thirty-two percent of graduates carry debt from undergraduate school, while 73 percent accumulate debt in medical school. If you’re searching for the best approach, start by brushing up on the programs available to you. The AAMC’s website is a good place to begin, and they also offer counseling at many different medical schools. Your medical school may also have financial experts or counselors on site, or provide referrals to trusted advisors. One thing to keep in mind: The best payback options that may have existed for your mentors or even colleagues not much older than you may actually cost you thousands if used today. Justin Kribs, CFP, counsels medical students and recent graduates at Oregon Health and Science University. He says there’s no one-size-fits-all advice for managing your debt. The right plan will be a balance of your own priorities and the best available payback solutions. Resident Erica Marden, M.D., chose a repayment plan that maintained her eligibility for PSLF. If you’re planning to go into public service, you may be eligible for Public Service Loan Forgiveness (PSLF). Eligible borrowers in this program make 120 qualifying monthly payments toward their federal direct loan over 10 years, after which any remaining principal and interest is forgiven. According to the IRS, the amount forgiven through PSLF is not considered taxable income. Repayments can begin as early as residency. Presently nearing it’s 10-year anniversary, PSLF is approaching the first year anyone could be eligible for forgiveness. PSLF appeals to Erica Marden, M.D., a second year psychiatry resident at the University of Vermont. She is currently making payments through a PAYE repayment plan. “These payments will count as qualifying payments toward PSLF,” she says, adding that she hopes to receive forgiveness after 10 years. While PSLF presents a great opportunity for those whose professional plans align with the program, new participants should proceed carefully. Thoroughly research what constitutes a qualifying position, and remain informed. Changing legislation (or changing jobs to a non-qualifying employer) could affect your participation. If you’re concerned about Congress changing the PSLF rules, consider making large payments to cover the debt in an accessible vehicle. Then, if the benefits change unfavorably, redirect the investment toward your loans. All federal student loan borrowers are eligible to enroll in the default standard repayment plan. This simply calculates your total amount due over 10 years and derives a monthly repayment amount. This plan offers the lowest overall cost to the borrower over any other repayment plan when loan forgiveness isn’t an option, but it comes at the cost of a potentially high (and for trainees, likely untenable) monthly payment. For those who carry a low balance, have an achievable plan for making the payments, and aren’t considering career options with loan forgiveness available, this could be a good option. Though the standard payment plan can work for some, many physicians seek other, more accommodating options. Income-driven repayment plans are critical for physicians just starting out. In 2007, as a result of the College Cost Reduction and Access Act, Income-Based Repayment (IBR) was created. It went into effect in 2009. The Pay As You Earn (PAYE) program came later, in 2012. Under these plans, you can calculate your monthly loan payment based on a percent of your discretionary income. After 20 years of making qualified payments, any remaining debt is forgiven. Federal Student Aid reports that, to be eligible for PAYE, you must be a new federal borrower on or after October 1, 2007, have received a Direct Loan disbursement on or after October 1, 2011, and demonstrate financial hardship. IBR determines your monthly payment based on your discretionary income. For borrowers on or after July 1, 2014, payments are based on 10 percent of your discretionary income, with a repayment term of 20 years. Those who borrowed prior to this date are capped at 15 percent for a 25-year repayment term. You must demonstrate financial hardship to qualify. (Most residents and fellows will meet this requirement.) Stafford Loans, PLUS Loans and Federal Consolidation Loans are eligible. Loans refinanced with private lenders aren’t eligible for IBR. The most recent option, created in 2015, is the Revised Pay As You Earn (REPAYE) plan. Borrowers who have a Direct Loan and financial hardship may qualify, regardless of the loan origination date. REPAYE calculates monthly payments no higher than 10 percent of your discretionary income. Payment is calculated over either 20 or 25 years, depending on if the loans were for undergraduate study or graduate/professional study. “The most attractive benefit of REPAYE is that only half of outstanding interest is charged during periods of negative amortization,” DiLorenzo says. With all income-driven payment plans, you need to supply documentation to verify your income and profile, and resubmit this each year, even if your financial situation hasn’t changed. Failure to do so risks losing your plan and being converted back to a standard plan. If you qualify for PSLF, payments made under these income-driven payment plans are presently considered qualifying payments. Another benefit of the income-driven plans is balance forgiveness. At the end of your payback period of either 20 or 25 years (depending on your plan), any remaining debt is forgiven. While that is enticing, it’s not completely without warning, says James M. Dahle, M.D., founder and editor of The White Coat Investor (whitecoatinvestor.com), a financial blog for physicians. You become ineligible for Public Service Loan Forgiveness (PSLF). If you are working for a non-profit hospital and may be eligible for PSLF, you should identify what savings might exist through this program. For many doctors in training or recently transitioned to practice with federal loans in the 6 to 7 percent range, this program can reduce payments on federal loans by over $200,000 if you follow the right action plan. You become ineligible for other federal income-driven repayment (IDR) plans. Physicians in training who cannot yet afford standard student loan payments are usually eligible for federal IDR plans, which can reduce accrued interest and position them for loan forgiveness. The private marketplace offers the lowest rates to those who are able to enter repayment immediately, and this doesn’t include most house staff until they transition. The Revised Pay As You Earn (REPAYE) program also offers a significant interest benefit that often offers a lower effective federal loan rate during residency and fellowship. Your credit score comes into play. When you apply to refinance your loans, that private lender may make a “hard” inquiry on your credit, which can impact your credit score negatively. Anyone considering refinancing should ensure that it is suitable to do so, and go through underwriting with the best possible profile for success. Too many graduates today apply and receive declinations or undesirable rates, take an inquiry to their credit score, and are ultimately unable or unwilling to refinance. Save yourself this time and effort by first ensuring that refinancing is suitable, and that your underwriting profile will deliver the most competitive results! Jason DiLorenzo is president and founder of Doctors Without Quarters (dwoq.com). Learn more about their free refinancing suitability service at dwoq.com/refinance-analysis.html. Interest rates on federal loans are not always the most competitive, so physicians often refinance to a private company to gain a more attractive rate. A note about refinancing: to qualify for Public Service Loan Forgiveness, you’re required to remain with a federal loan program. In his blog, Dahle says a determining factor to consider in refinancing is at what point you are in your career. If you’re an attending physician who is not pursuing PSLF, refinancing could save you significant interest. Residents, however, should usually only refinance private loans that are ineligible for income-driven repayment plans (see the sidebar on page 45). “If you are a resident, the government REPAYE program is often a better choice than refinancing as it effectively subsidizes your interest rate to an amount less than you can currently refinance the debt to,” he says. Plus, once you refinance your loans with a private lender, you cannot go back to the income-driven repayment programs or PSLF. For Butts, good, old-fashioned frugal living was his route to repaying quickly. “It may seem like simple advice, but live on less than you earn, use the rest to pay back loans. Make a budget every month with what’s coming in and what’s going out,” he says. Dahle suggests that, rather than upgrading your lifestyle in parallel with increases in income, you delay lifestyle upgrades, and instead direct new income toward your educational debt. “It will be far harder to cut back your lifestyle later than never to have upgraded it in the first place,” Dahle says. 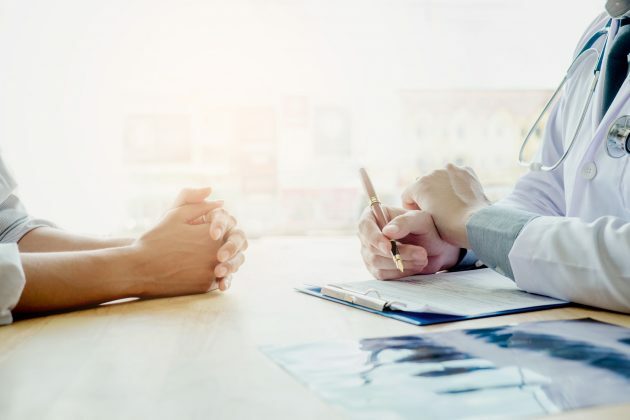 Rather than defaulting on your loan, which will have lasting negative consequences, some physicians have considered one of two programs that permit temporary pauses in payments: deferment and forbearance. Deferment is granted based upon certain issues, including financial hardship and status as a student. When loans are in deferment, you do not have to make payments, and you aren’t responsible for any interest that accrues on subsidized loans. You must apply for deferment and supply documentation to support your case. Forbearance is another option that may sound appealing, but keep in mind that your loans will continue to accrue interest during this time, which will capitalize once the forbearance period ends. Over years, your loan balance will significantly increase. Lynn M. O’Connor, M.D., M.P.H., now director of the Women’s Colorectal Care Program at ProHealth Care Associates in New York, used forbearance while in residency at The Johns Hopkins Hospital and Union Memorial Hospital in Baltimore. However, while in forbearance, the compounded interest added up— increasing her balance due when it came time to begin paying. “I needed to put a large lump sum towards my loans just to bring my loans out of arrears [and] get them to a point where they could be refinanced,” she recalls. With an income-based repayment plan, DiLorenzo points out, your payment amount in residency can be as low as $0—and still position you for loan forgiveness while reducing accrued interest. Whatever your loan balance, consider how your family would manage an unforeseen loss of income. “It’s important to have a risk management plan in place,” says Kribs, advising that the ideal components include disability insurance, life insurance, health insurance and umbrella insurance. Read your employment contract carefully to understand what is offered, and if any additional coverage is needed. During loan repayment, the more important elements are disability insurance and life insurance. Some advisors recommend you purchase the maximum amount of individual disability insurance you qualify for, which provides a tax-free benefit of about two-thirds of your income in the event of total disability. They also recommend purchasing 8 to 10 times your income in term life insurance. However, many residents find it difficult to afford as much insurance as they need at this critical time in their careers. Though no one likes to think about life insurance, it’s essential if your payback plan is based on a dual income. “Honestly, it is usually the spouse that is under-covered; if the individual with the loans passes away, then the loans could possibly be discharged due to death. However, if the spouse passes away, then the person with the loans still has the loans,” Kribs says. Doctor mortgages may carry a higher interest rate, and typically require you to use some of the bank’s other services, such as a checking account. But if you are set on making a home purchase with less than a 20 percent down payment, it can make a lot of sense, freeing up cash that can be used to pay down student loans. Most physicians eventually establish a doable method for getting ahead of their medical school debt. “Use the resources at your medical school or residency to educate yourself as much as you can,” says Marden. And don’t feel you have to have it all figured out; as your career evolves and federal programs change, reevaluate your situation and adjust your plans accordingly. A move to a military base community could mean a higher quality of life—even for civilian physicians. 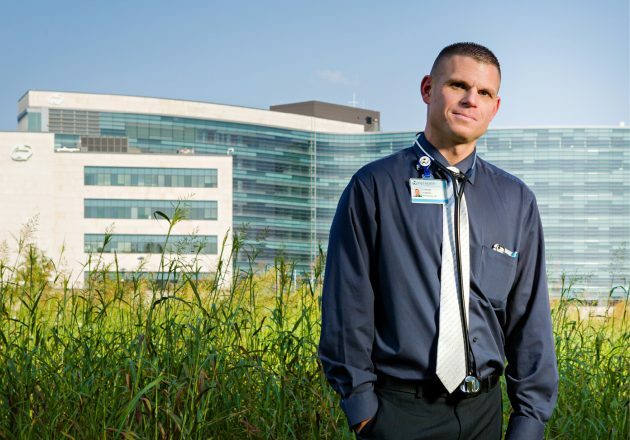 Frank Roam, D.O., is a civilian physician at a military hospital—a career move that allowed him to move back to his hometown and achieve a favorable work – life balance. Fort Leonard Wood, Missouri, is home to a military base. The community is nestled in the heart of the Ozarks about 134 miles southwest of St. Louis on Interstate 44. There’s boating, fishing, hunting, hiking and camping for those who wish to pursue outdoor sports. The low cost of living makes it a great place to retire or raise a family—and there are practice opportunities for civilian physicians. What do you like about being a civilian physician at a military hospital? I was able to move back to my hometown, and my family is here. Previously, I was part of a large conglomerate for several years, and there was a lot of micromanagement and inconsistency. It was somewhat of a bureaucracy, so I was ready to leave when I discovered there was an opportunity to come here. There isn’t as much pressure here. What’s the most challenging part of your role? The practice I have here is a two-edged sword. I’m still busy, but it’s a different type of busy. It’s more focused on patient-related issues such as surgery, clinical follow-ups, etc. I no longer have the time-consuming collateral duties that a civilian hospital can overwhelm an experienced physician with. I perform a lot of the same types of surgeries, such as hernias, endoscopies, gall bladder, etc. So, there’s a trade-off, as there is not as much pathology. The environment is a little more relaxed. Earlier in my career, I would have wanted to be busier and have the variety. Today, my days tend to be over by 4 or 5 p.m. as opposed to 7 or 8 p.m. in my private civilian practice. Depending on the call schedule, it might be much later. If someone wanted to do 60 to 70 major cases a month, the practice I have now might not be what they are looking for. However, I find it very gratifying—especially at this point in my career. Was there anything about practicing as a civilian physician at a military hospital that surprised you? Not really. The physician recruiter was open and honest about what to expect. I was able to speak with some of the other physicians before I actually signed up, so I knew what I was getting into and what the practice was like in the hospital. Where I was previously, I wore a lot of hats. I had to be on a lot of different committees, such as credentialing, infectious diseases, etc. As far as my time was concerned, I had to split it with these meetings and my practice. They have the same meetings here, but the physicians on the committees are military. In a way, I gave up a little bit of control from where I was before. I had input as to the rules and the way things were going to be done. For me personally, it is refreshing to no longer have to deal with that. 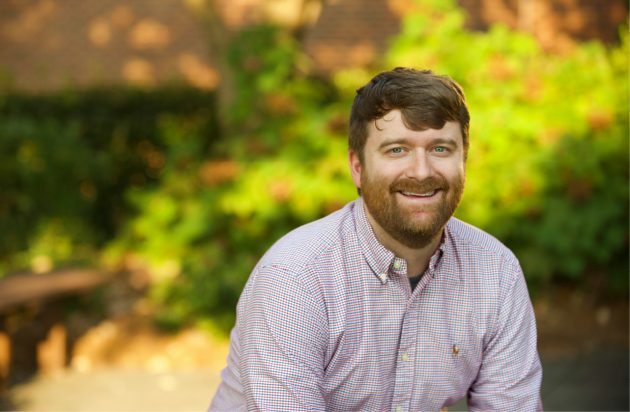 Joseph Lanham is a senior medical recruiter from General Leonard Wood Army Community Hospital and works with Roam. 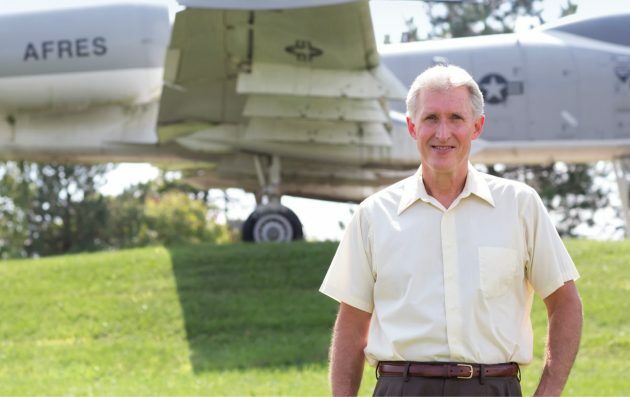 “The experience that a civilian physician brings to the table is unbelievably useful to the military physicians, and vice versa, and the exchange of that experience only serves to improve the quality of care that a patient receives,” Lanham says. He adds that at some point in a physician’s career, quality of life becomes an important factor when looking to make a change. What advice would you give to physicians who want to pursue a similar career move? I can only speak to Fort Leonard Wood. Even though it’s a fairly large military base and hospital, the area is rural. It isn’t for everyone. However, if the physician is willing to drive a few hours, they would be in St. Louis. Although a physician can read about the area they are interested in, the number of surgeries being conducted here and other statistics, that’s not the same as coming and actually seeing what is available. Also, I would tell physicians not to be afraid to ask questions specific to their military hospital of interest. Anything else? I have found this to be a much more relaxed schedule for me. I realize that might not be what a young physician is looking for. I can only speak for here, as there might be other military institutions that are busier and have a larger surgical practice. One thing I would like to mention: There aren’t really malpractice issues in the military. Although patients do have recourse and may file claims in the event they think something is wrong, in the military, the physician is somewhat protected. The physician doesn’t have to pay any malpractice insurance. I was previously paying between $75,000 to $80,000. That’s one of the other enhancements here and can have some bearing on where a physician practices and the money they can make. That’s a real benefit. 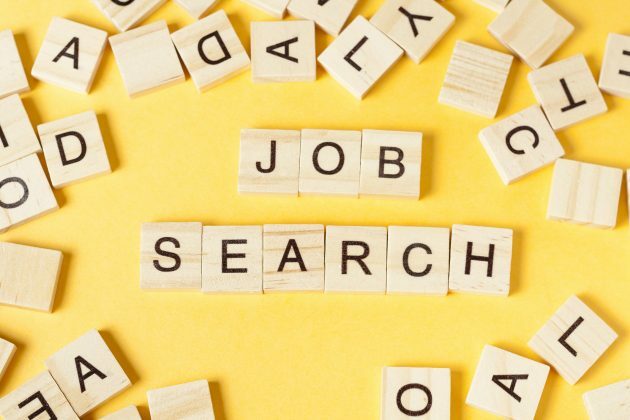 What’s your job-search action plan? Make a list of your priorities, expand your network, and use PracticeLink to find your dream practice. Many physicians find their final year of training stimulating, challenging…and overwhelming! Developing an action plan with a well-thought-out list of your priorities can help you manage your transition from training to practice. What is important to your family? What type of practice do you want? Where do you want to live and work? Most physicians agree that the most important things to think about during the transition from training to practice are geographic location and the key features and scope of a practice. To help you through this phase, your action plan should include talking with colleagues who have been practicing for five or more years to learn about the realities of various practice settings. Another way to explore geographic locations and types of practices is to attend the state or national meetings of your specialty’s association or society. Many of these organizations can help link newly trained physicians to practicing physicians from all over the country. PracticeLink Live! Physician Career Fairs (info.PracticeLink.com/CareerFair2018) are also good networking opportunities. There, physicians talk with recruiters from the local area, as well as from different states and cities, to determine if a location and organization is a good fit for them and their families. It can be overwhelming for residents in their final year of training to think of suddenly becoming a practicing physician. To help you manage through this discomfort, remember a few key last pieces of advice. Narrow where and how you want to practice. Though it may seem frightening to choose a specific location and practice, remember that your first job is not likely to be your last job. Make a list of priorities, and make your career decisions based on those priorities. Seek to understand different practice settings. For example, try to gauge how decisions are made in the practices in which you’re interviewing, and who is involved in those decisions. Remember that compensation isn’t everything. Money may not be the major decision maker if quality of life is higher on your list of priorities. Your first practice may not have everything that is on your priority list, but creating that list is still worth doing. Use your list, ask colleagues, network and attend conferences to do the research and find your dream practice. Yes, work-life balance is possible in medicine. That’s the good news. You can have a personal life and a fulfilling career simultaneously. But unlike in previous generations, when you were either working or not working, work and personal lives are now commingled. That’s not necessarily bad news, but effective time management becomes the key to feeling like you have time to yourself. 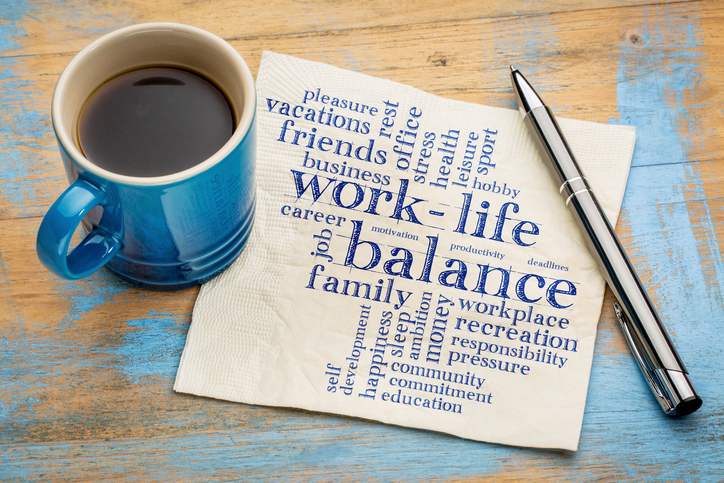 Work-life balance looks different today than even a few decades ago, says Peter Angood, M.D., CEO of the American Association for Physician Leadership. Where prior generations were able to switch back and forth between their many roles—physician, spouse or partner, parent, child, friend, volunteer, caregiver—today’s physicians have to juggle multiple roles. Today, it’s nearly impossible to separate your life into two clearly distinct states of being. “Doctors are more accessible, causing a disproportionate amount of time to be spent on work,” says Kyle Etter, vice president/partner at Consilium Staffing in Irving, Texas. Consequently, an “integrated lifestyle” is more the possibility than being able to separate work from personal life, according to Angood. Rutland, who has a wife and two children, may arrive home tired from a long stretch at work, but says, “Being tired is not an excuse for not doing anything” with his children, who are often excited to see him. So he pushes through, gives his family time and attention when he’s home, and sleeps when he can. Her typical day involves seeing patients in the morning, taking a lunch break during which she will often run, and then seeing patients in the afternoon and sometimes into the evening. She works five days a week plus alternating Saturdays with her P.A. She’ll be at work 8:30 a.m. to 5 p.m. most days, but only 2 to 5 p.m. on Wednesdays, so she can have a break from patient care in the morning. 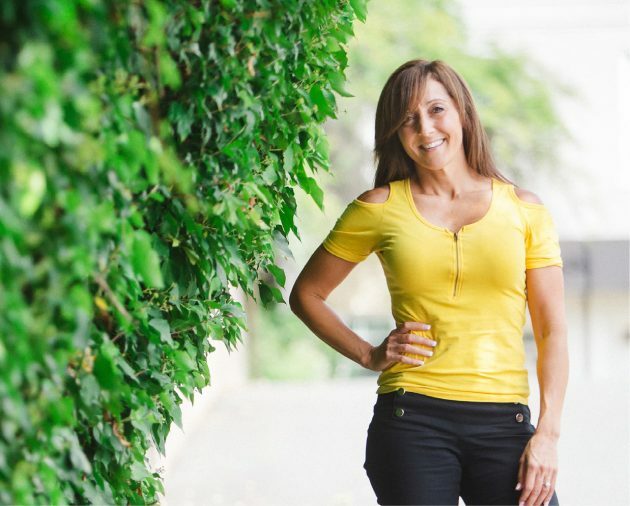 Another physician’s health scare was a wake-up call for Jill Garripoli, D.O., to introduce more balance to her work life. For Khadeja Haye, M.D., national medical director for OB/GYN Hospitalists for TeamHealth in Atlanta, “Work-life balance is the flexibility to enjoy life outside of medicine. To be there for your family, to be there for personal events, to pursue interests outside of work…while still having the opportunity to take good care of your patients.” Haye’s outside interests include yoga, cello (which she recently picked up again after having played in high school) and golf (which she played in college). 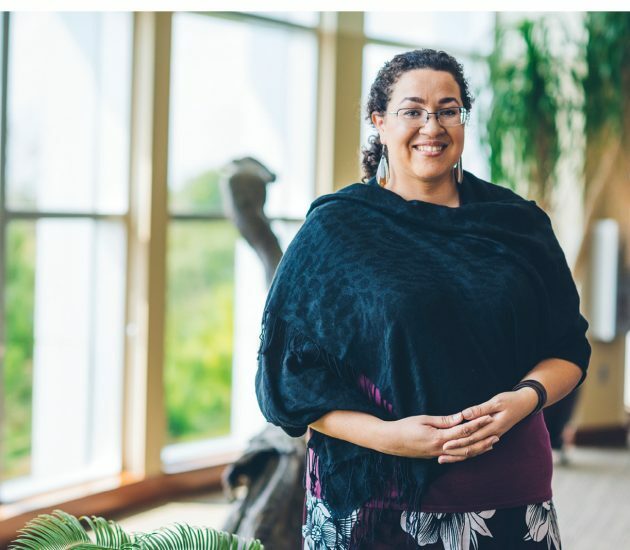 Early on in her career, Haye says that her work-life balance “tipped more toward work.” Her focus was on her career and on building a foundation. “It was a conscious choice to work more on my career early on,” she says. “I felt fulfilled,” she says, and was very comfortable with the decision she made. When she wasn’t working, she traveled and spent time with her friends. “Organizations realize they have to be honest to prevent physicians from leaving quickly,” says Dickerson. While only 5 to 7 percent make a career move because the job they were promised is different from what they were given, Dickerson says, the cost to recruit a replacement is significant. And employers want to avoid setting anyone up to be disappointed. Ideally, the response you hear acknowledges your needs and explains how the hospital or practice can make the situation work. And if you don’t hear that, that may be a clue that perhaps a fit does not exist. It’s especially helpful, says Dickerson, if you have the opportunity to speak with someone already on staff who is in a similar life stage, since each stage has different needs, and a different definition of balance. Rutland, on the other hand, thinks that discussions about vacation, flex time, and time off shouldn’t occur right off the bat. When he interviews a newer physician for an opening and is asked, “How much time do I have to spend at work?” he knows they’re not a fit for his particular practice. He recommends staying away from that question altogether. “Medical schools don’t teach about business,” says Rutland, leading some new physicians to have high salary expectations despite only wanting to work a few hours a week. “The driver needs to be a focus on quality and efficiency of system performance” in order to be able to provide any type of work-life balance, says Angood. Haye is witnessing this evolution. “I’m not sure if it’s good or bad,” she says. 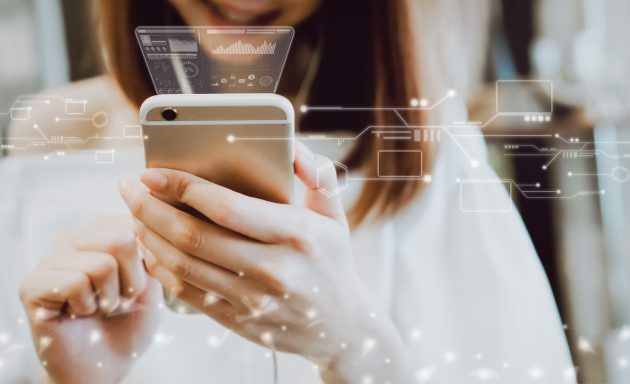 Thanks to technology that connects physicians to work and home 24/7, you can take care of personal tasks while at work. That’s in the plus column. “But it’s bad when you get emails while on vacation,” she points out. 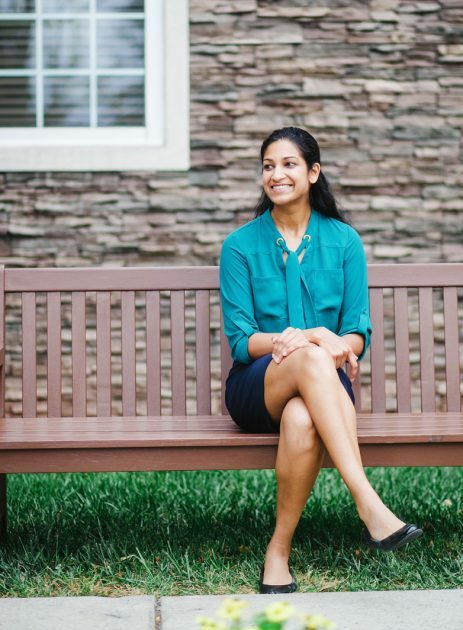 Nitasa Sahu, M.D., read PracticeLink Magazine as a resident—and found her job at Penn State Health’s Hershey Medical Center on PracticeLink.com! Sahu enjoys running, tennis, swimming, basketball, volunteering, reading and traveling. What surprised you about your first post-residency job search? How long it took to get licensed/credentialed! What’s your advice for residents who are beginning their job search? Start early, and don’t be pressured into accepting an offer right away. Look over the contract, talk to experienced physicians, and negotiate before taking the job. What were the most important factors in your job search? I was most interested in the type of facility, maximum census and the opportunities for growth. How did you find your job? I started receiving PracticeLink Magazine as a third-year resident to explore my options, and applied to my job on PracticeLink.com. PracticeLink was easy to navigate, shows when the jobs were posted, and I received many offers. I am very happy with my decision and grateful that PracticeLink exists—and I can help my colleagues who are graduating in the near future learn about it as well! Any other advice? It’s not the end of the world if you don’t find your dream practice right away—it may take time. Good luck!